Kepasa Ukuleles are custom made by Kevin Crossett in Middlesex, VT, and are available in soprano, concert, tenor and baritone models. Kepasa Ukulele models are largely inspired by vintage mainland ukuleles such as the LeDomino, Hollywood, Vita, Harmony, Regal and other makes and models from yesteryear. 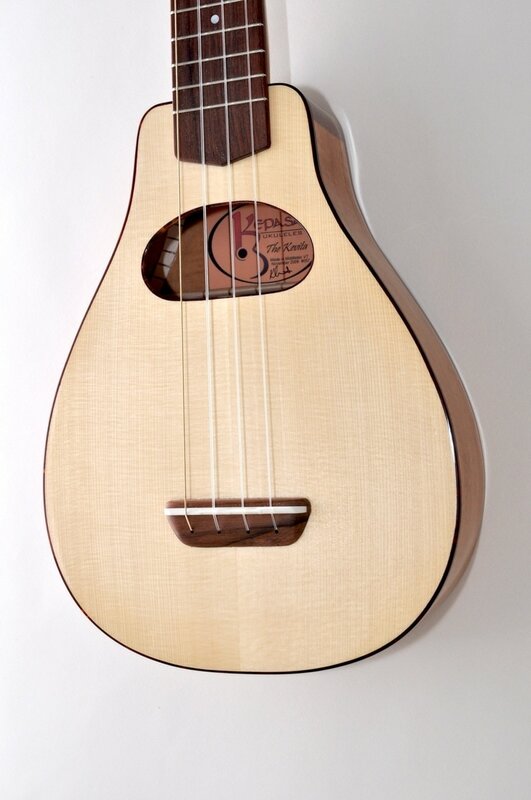 The Kepasa Madeira is influenced by the late 1800s Dias style soprano, while the Kepasa Gypsy Rose is influenced by the early Selmer-Maccaferri gypsy guitars. The Kepasa KeVita ukulele pays tribute to the Roy Smeck Vita uke. Availability and delivery . 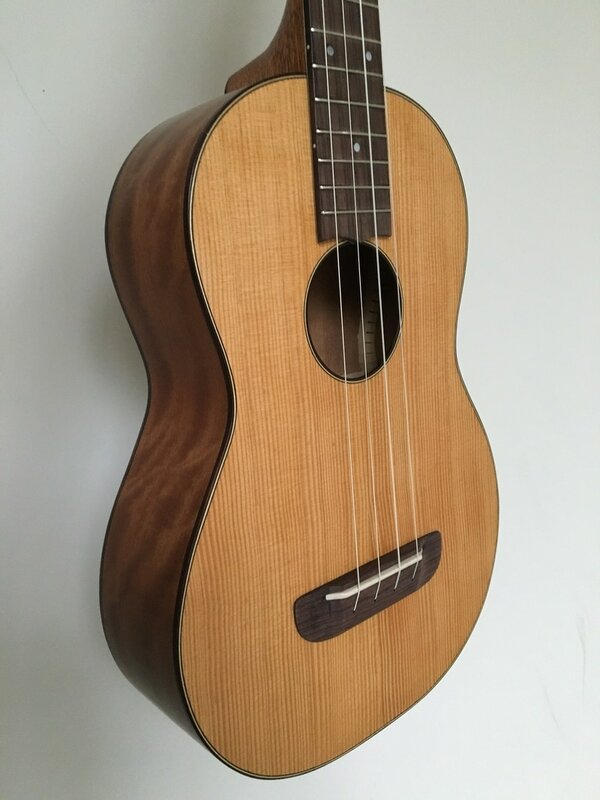 The next start date for a new Kepasa Ukulele order is May 6, 2019, with an anticipated completion time of July 1 , 2019. I occasionally have ukuleles in stock available for sale. Please check the Available Now page for these opportunities. Combine the way you want it to look with the way you want it to sound. With your custom ukulele, I can design the build to influence the sound. 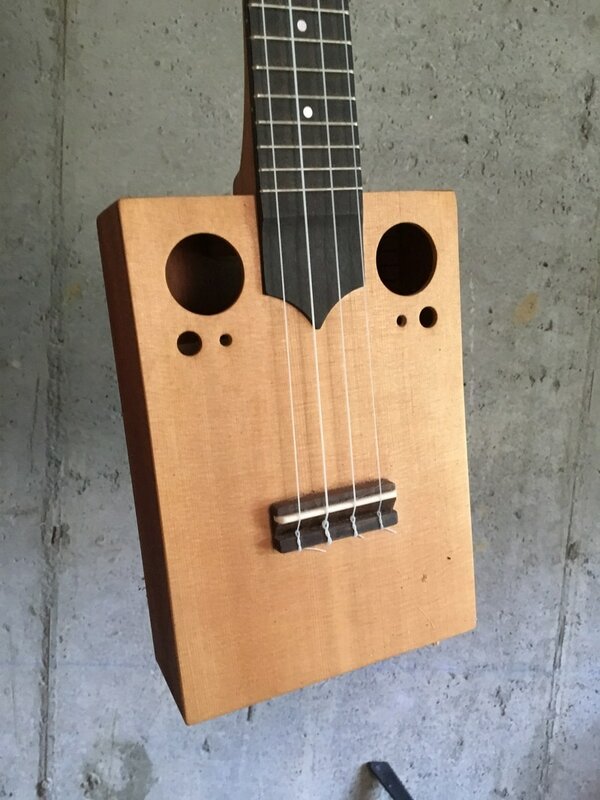 Within certain parameters dictated by the wood type, there is a level of flexibility in creating a soprano ukulele that sounds deeper than you would expect or a tenor that sounds brighter. I'm happy to work with you to produce a custom instrument that looks, plays and sounds the way you want it. Each Kepasa Ukulele is designed, built and voiced by one builder, Kevin Crossett. I build in small batches of ukuleles that begin and end at different times. During the final stage of building, I focus on just one instrument at a time through completion and final setup, ensuring full attention to each ukulele as they come to life, I then "play it in" for a couple days continuing to make final adjustments until I've got it exactly the way I feel it should be. I currently build over a dozen different Kepasa models, and many of them are unique styles, such as the KeVita, which is more mandolin-shaped than ukulele; the Madeira resembles the original ukuleles that migrated from Portugal in the late 1800's, which have a smaller than typical soprano body but with a larger than typical neck, and my own cigar box style ukuleles that have a custom made (no cigar) box which I call the Ukebox. I've also begun building baritone ukuleles, which I call the Kepasa Grande.